Home Office 365 OneDrive SharePoint Online How to Disable OneDrive for Business in Office 365-SharePoint Online? Requirement: For Security reasons and to take more control over what users are saving to OneDrive, The organization wanted to disable OneDrive for Business in Office 365. Typically, Office 365 services can be enabled or disabled through managing license for products in Office 365 Admin center, E.g. If you don't want your users to access "Teams" you can simply turn-off Teams license for any user/group. However, there is no way to disable OneDrive license for a user since its clubbed with SharePoint Online license. 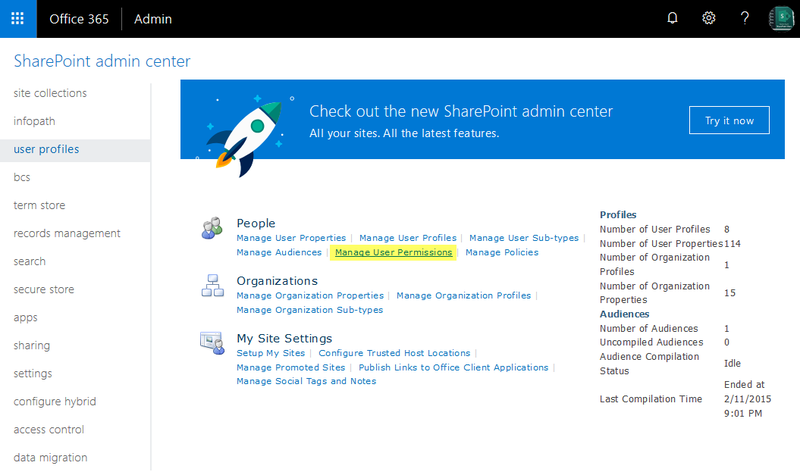 While its possible to turn off SharePoint Online license, that doesn't serve our purpose. How to Disable OneDrive for Business for All Users? Here is how to disable OneDrive completely in office 365. This opens the permissions popup for user profiles service. By default, "Personal Site creation" permission is enabled for all users through "Everyone except external users" group. Uncheck the Create Personal Site permission and check Disable OneDrive check boxes to disable OneDrive for all users. From now on, users will not be able to create their MySite or OneDrive. This stops OneDrive sites from being created. If you need to disable OneDrive for all users except a particular group of people, Create a new security group in AD/Office 365 and add the group to the above user permissions and then enable "Create Personal site" and disable "Disable OneDrive" check boxes only for the particular group. 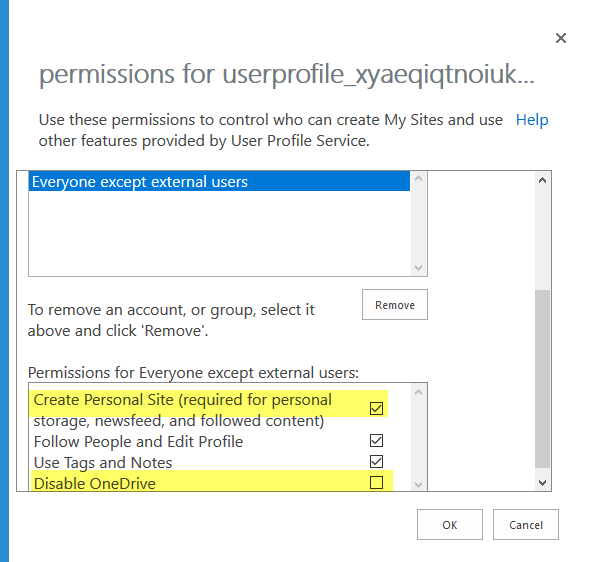 Remove Site Collection Admin permission of the user from OneDrive Sites. Manage personal site collection owners >> Change the site collection owner. 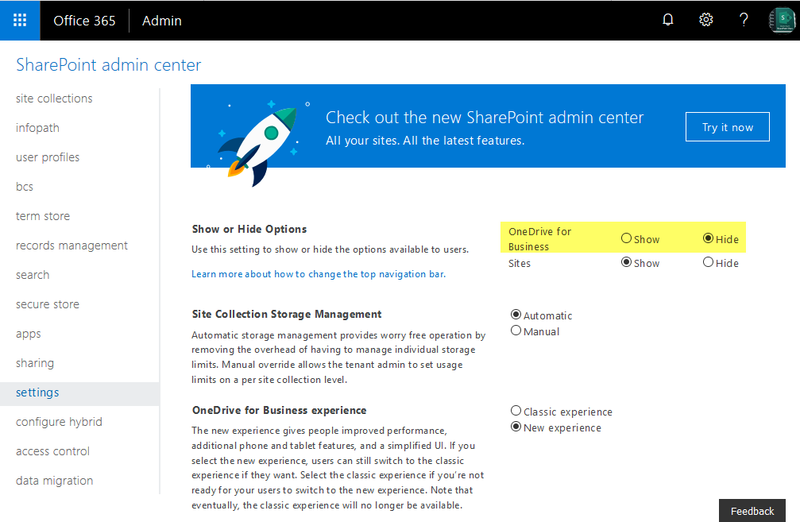 Here is my post on How to Gain Owner Access to OneDrive for Business Sites in Office 365? Ask the use to download all their OneDrive data and Delete OneDrive Sites. If you want to delete existing OneDrive sites, use: How to Delete OneDrive Sites in Office 365? This disables OneDrive link for all users in App Launcher, but existing OneDrive users still be able to access their OneDrive if they browse to the URL directly. Also this doesn't prevent users from saving files to OneDrive or using OneDrive Sync client.